the vilafonte wine blog: The Vilafonte team launches the blog as a 'coffee table' book! 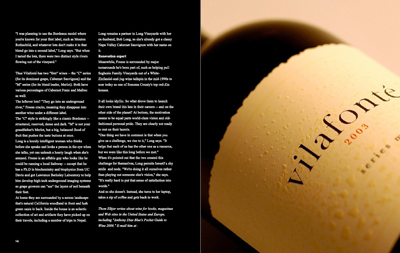 The Vilafonte team launches the blog as a 'coffee table' book! The Vilafonte Team were the first winery in the world to launch a winery blog. With the first posting in June 2005, the story of Vilafonte has been detailed and captured in detail to provide a fascinating insight into the workings of our small luxury wine producer. Click HERE to see a preview. Watch out for it on www.amazon.com - coming soon!